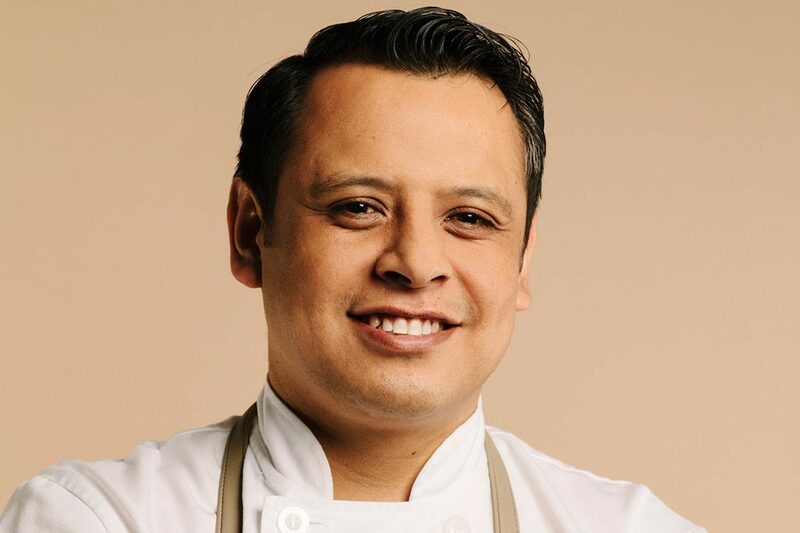 Hector Laguna, 36, is a master chef. I was privileged to have some of his creations at his restaurant at Vancouver’s Fairmont’s Pacific Rim, Botanist. His mastery was amply revealed in a dish he prepared for us: ricotta gnudi with fennel, bacon, lobster foam, and Nova Scotia Lobster Tail. It was truly fabulous. I doubt that I will ever taste lobster tail without comparing it to Hector’s. Hector Laguna: It was definitely not planned; however, I grew up learning and cooking alongside my mother and I first fell in love with food by helping her cook for our family back in Mexico. When I first moved to the US and was living in San Francisco, my friend told me that the restaurant he was working at needed help in the kitchen with prepping and putting the deliveries away. After I had been there for a couple of weeks, I realized how much I liked working in the kitchen and watching how the cooks worked. I talked to the chef and asked if he could give me an opportunity to cook in his kitchen. He said yes, and that was the beginning of my culinary career. Not really one specific dish. I feel like every dish is special, and I cook with the same integrity no matter what dish it is. Two of my personal favourites on the Botanist menu include the charred octopus with asparagus, cauliflower, kohlrabi and chorizo and the seared sable fish with fermented vegetables, puffed tapioca with an onion nage. Do you prefer a particular style of cooking? I enjoy cooking everything in general. If you look at what we are doing here at Botanist, I will say that is a very ingredient oriented and season driven style of cooking. What kind of atmosphere do you try to create in the kitchen? An environment driven by team work and accountability. A place where we trust each other, we care about each other and we help each other. What do you look for when you hire other chefs to assist you in the kitchen? Enthusiasm, integrity, respect for themselves, for others and for food. And of course, creativity and skill. What is your favorite spice? How do you use it? I really like cooking with spices. I don’t know if I have a favourite one, but I really enjoy cooking with fennel seeds. I think it is very versatile, and complements a lot of other flavors very well. It can easily be the main flavor or the background of something else.